At Glaser Hitec, we pursue ideas and products that often push the limits of existing technology. As a company that acts responsibly, we work hard to make sure any innovation is balanced with the appropriate level of privacy and security for our customers. 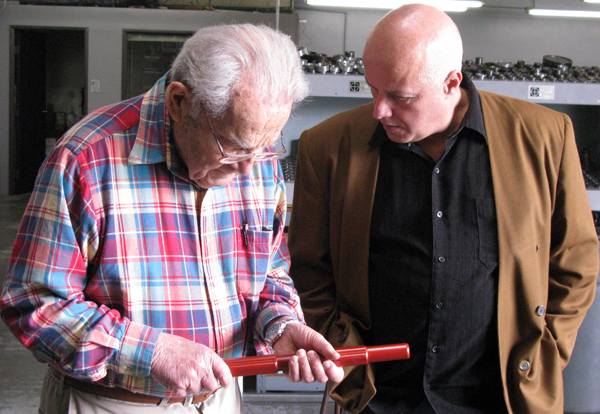 Our Privacy Principles help guide decisions we make at every level of our company, so we can help protect and empower our customers while we fulfill our ongoing mission to continue to manufacture and perpetuate Jerry Glaser’s legacy in woodturning tool manufacturing. We collect personal identifiable information, like names, postal addresses, email addresses, etc., when voluntarily submitted by our visitors. The information you provide is used to fulfill you specific request. This information is only used to fulfill your specific request, unless you give us permission to use it in another manner…for example… “to add you to one of our mailing lists”. We reserve the right to change these policies. Any changes will be posted.